More energy, better skin, improved immunity, weight loss...there's a lot to love about juicing. But what's not so delightful is what comes after you're done downing a glass of fresh, raw juice. Yes, we're talking about the cleanup. Depending on the juicer you have, the cleanup part can take as long as 15 to 20 minutes! Which is a shame since a long and arduous cleanup is what puts many people off the whole juicing experience (and all the benefits that come with it). 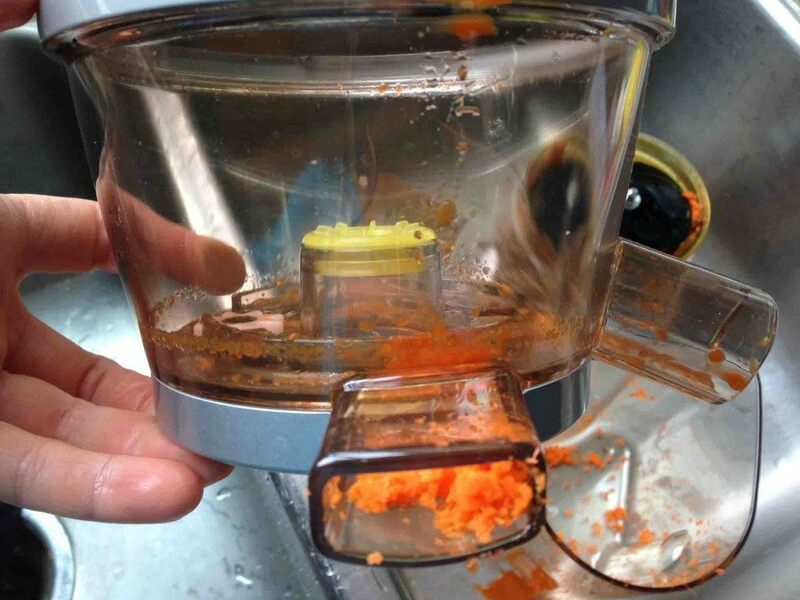 In the interest of preventing juicing-cleanup burnout - we've compiled a handy list of the best easy to clean juicers. The Hurom slow juicer is beautiful to look at and great at its job, but the best-est thing about the Hurom is that it's super easy to clean. It takes, oh, 3 minutes. You do have to cut produce into smaller parts, though, so that's a bit of a bummer. On the upside - although it operates at 80 RPM, it juices pretty quickly. In short - to make a simple juice with 3 to 4 ingredients for 1 person takes way less than 10 minutes from produce prep to clean-up. Not bad. Not bad at all. 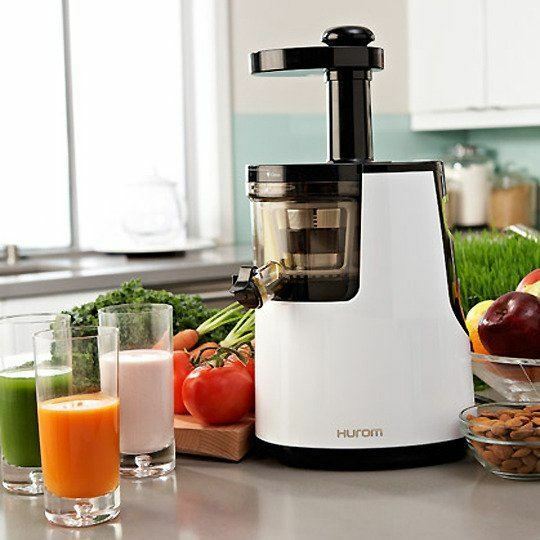 ​But the Hurom is not just an easy to clean juicer - it's also one of the best juicers on the market. For starters, it's a very slow juicer, operating at at 80 RPM to extract every last bit of juice from produce without heat (which means less oxidation). The Hurom also has a patented Slow Squeezing Technology that gently squeezes rather than grinding and crushing to preserve nutrients in fresh produce. As for what it juices - the Hurom is a very versatile juicer that is excellent for hard produce and can even handle soft fruits and leafy greens. Oh, it's also a multi-tasker so you can also whip up your own nut milks, soy milk, tofu, baby food and even sorbets. Pretty much everything we just said about the Hurom above applies to the Omega VRT. It's super easy to clean - it'll take you 3 minutes tops. It's an amazingly versatile juicer. It operates at 80 RPM, producing minimal heat and oxidation. And it's also a wicked multi-tasked that can perform a range of functions. The only reason it doesn't get first place is because of its price - at $470, it's almost $200 more expensive than the Hurom, without anything particularly special to justify the extra cost. 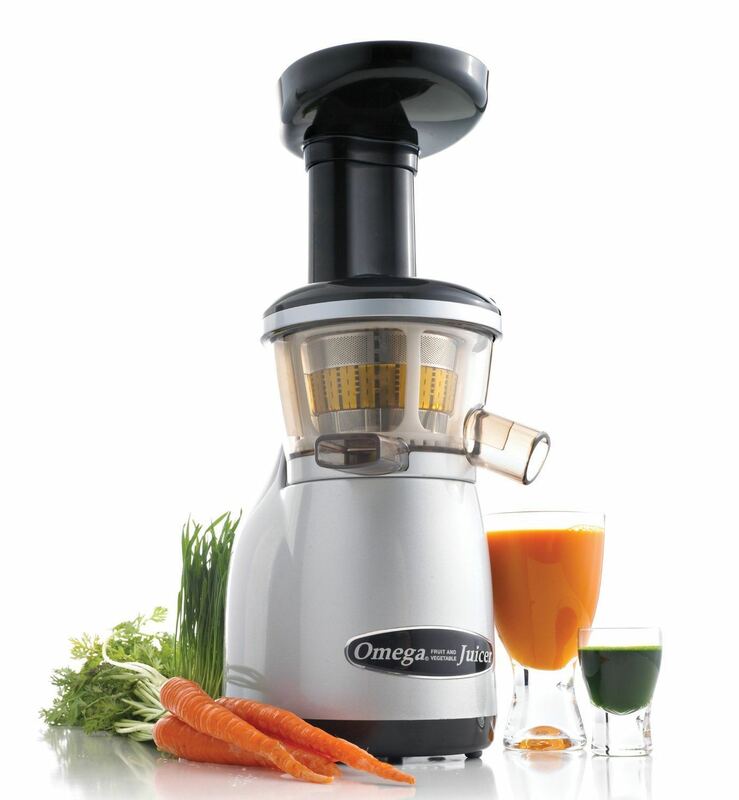 That being said, it is a super popular juicer, with over 100 reviews and ratings at 4.5 on Amazon. If, for some reason, the Hurom isn't for you - you'll want to check out the Omega VRT. 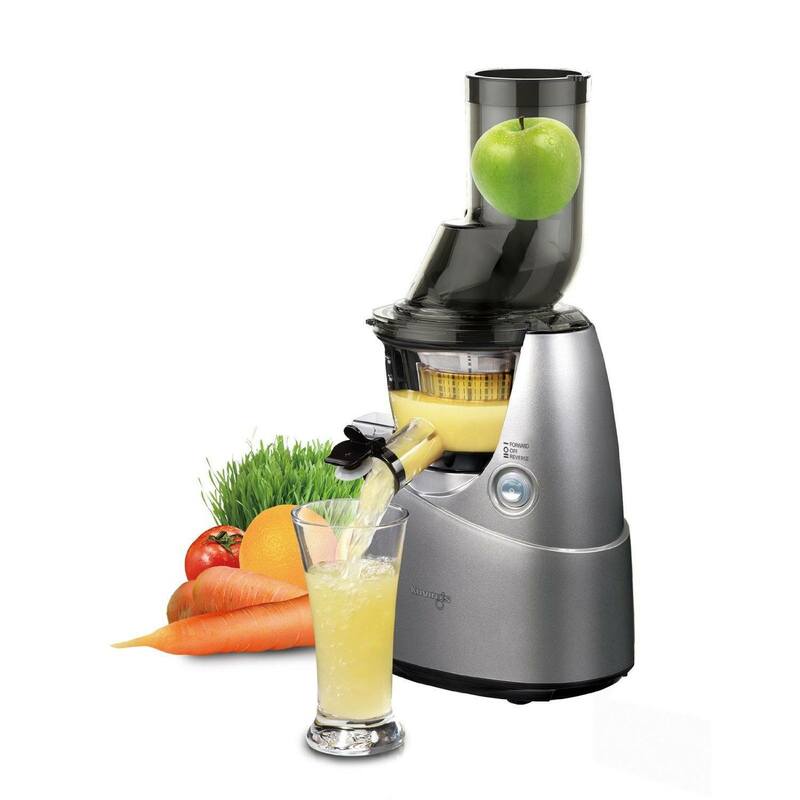 The Kuvings slow juicer is yet another top-notch, slow vertical juicer (the vertical juicers are the easiest to clean). But the Kuvings has one advantage - it comes with a bigger feed chute. So not only is it super easy to clean, but you don't even have to chop (most of) your produce before juicing. Another slight advantage of the Kuvings is that it operates at even slower speeds than the above juicers - at 50 to 60 RPM. That means less heat, less oxidation, less friction, less noise and fresher, better juice quality. The only drawback? At $430, the Kuvings is over a $100 more expensive than the Hurom, 'though still cheaper than the Omega VRT. Our opinion is if you don't mind a little slicin' and dicin' - opt for the Hurom. But if you truly loathe produce prep (the case for many of us) - you'll want to check out the Kuvings.